Living Area 4,333 Sq. ft.
By far the best value in Central Bucks School District. Aggressively priced for quick sale. 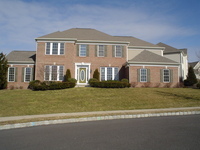 Spectacular spacious brick front luxury home in prestigious neighborhood cul-de-sac. Open floor plan perfect for entertaining. 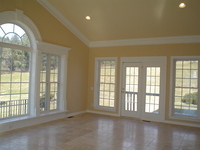 Enter to a two story foyer, formal dining room to the right with butler’s pantry. To the left, a formal living room as well as large fully windowed conservatory. 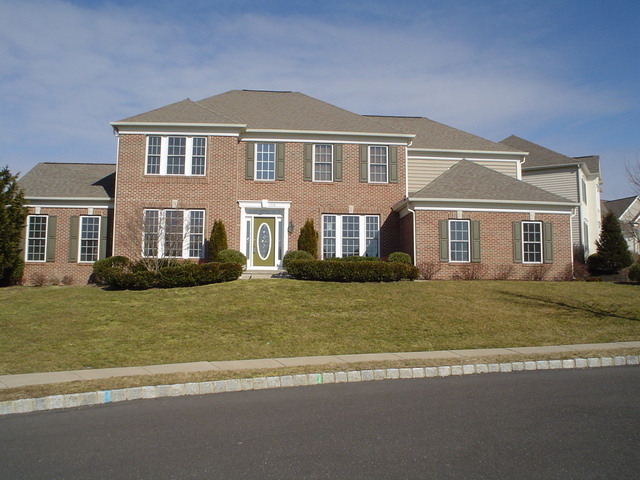 Two story family room with gas log fireplace, office, laundry and two car garage. Kitchen boats large center island with all stainless GE Profile appliances, 42” cherry cabinets, desk area, breakfast room and rear staircase. Bonus morning room provides additional bright and airy space. 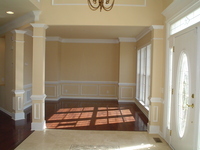 Cherry hardwoods, travertine tile and beautiful millwork add luster to the first floor. Master suite includes trey ceiling, luxurious bath with jetted tub. One princess suite and two bedrooms with Jack and Jill bath complete the upper level. 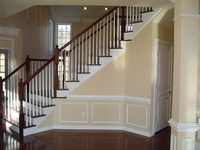 The walk out basement awaits your personal design and finishing touch. Mufti Zone heat/AC, alarm, & ceiling fans.